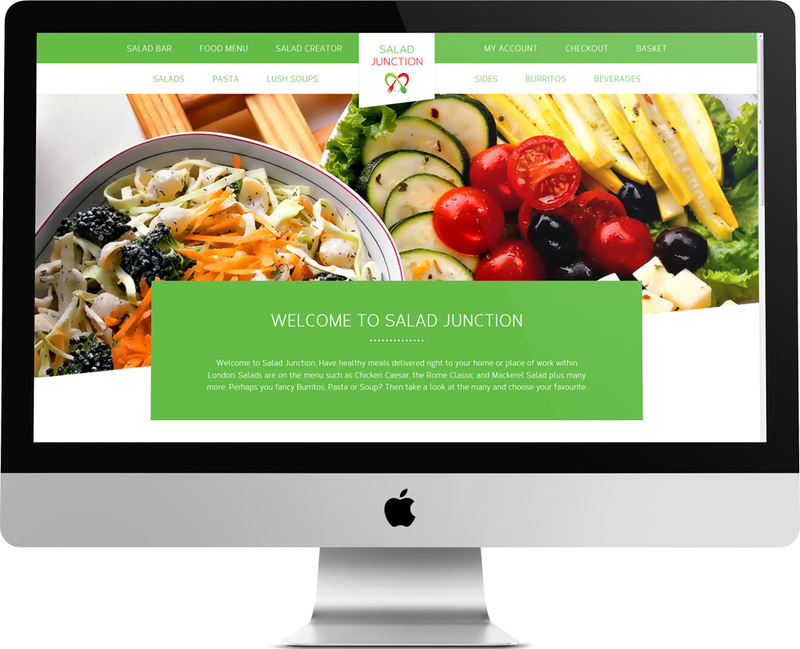 Firstly Salad Junction wanted an up to date and bespoke website design that would be responsive and have a fresh and clean appearance. The main feature on the website was not only to sell the popular style salads but to also offer the customer the chance to create their own salad, choosing from a wide range of ingredients and fillings there would be a vast array of possibilities. As well as creating salads they also wanted to offer create your own burittos and pasta dishes. To start with I wanted to create the clean and fresh looking site, using a subtle shades of green throughout on a mainly white website I believe I achieved the right balance. The design was also carefully thought about for it’s responsiveness and I made sure that it looked just as pleasing on a desktop as it does a mobile device. 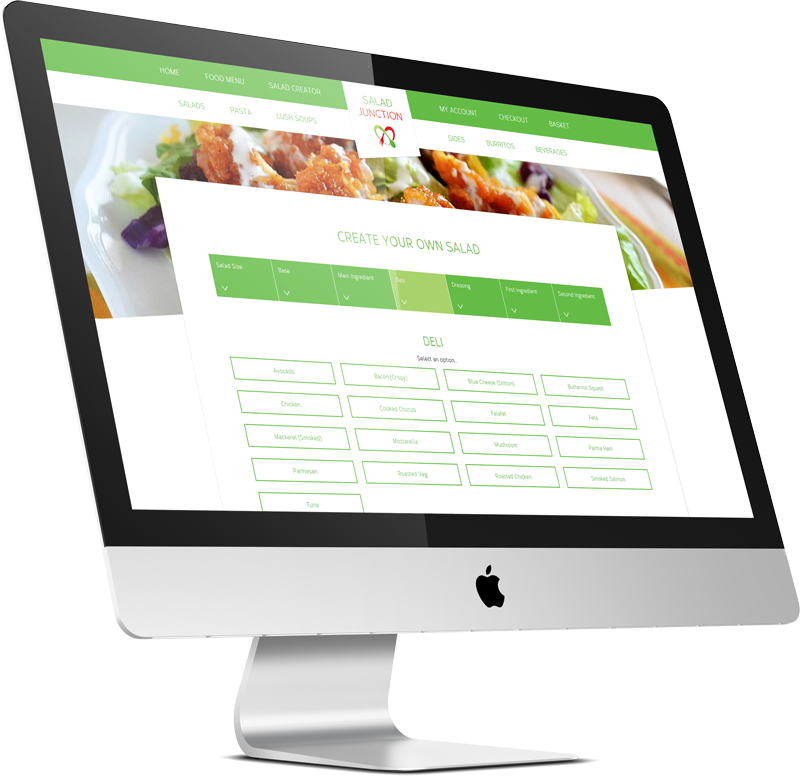 The most challenging part of this project was designing and developing the salad creator. Using WooCommerce to handle all the products and data I wrote some custom code to allow the selection of multiple ingredients in fillings in different stages. Any extra ingredients or fillings were charged extra so this had to be included in the code. Salad Junction offers their customers to create a salad, pasta or burrito however they like, selecting the size, base, fillings, toppings and sauces, a plethora of combinations are possible all made with fresh and healthy ingredients and delivered to your work or home. Implementing the salad creation service meant that hundreds of ingredients would need to be added to the back office and then sorted into sub-categories. Once the products were in place it was then a case of associating them with the right foods and matching the price per however many ingredients a customer selected. This aspect of the site would be to save time and help the customer find the right product for their requirements. The filter uses tags from the industry category to show only the relevant products.